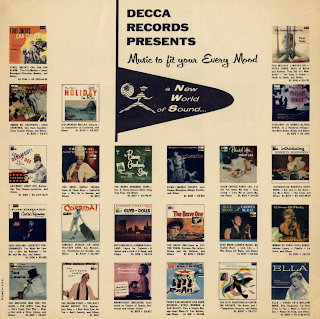 My copy of this LP came with a single sheet marketing insert (images above). 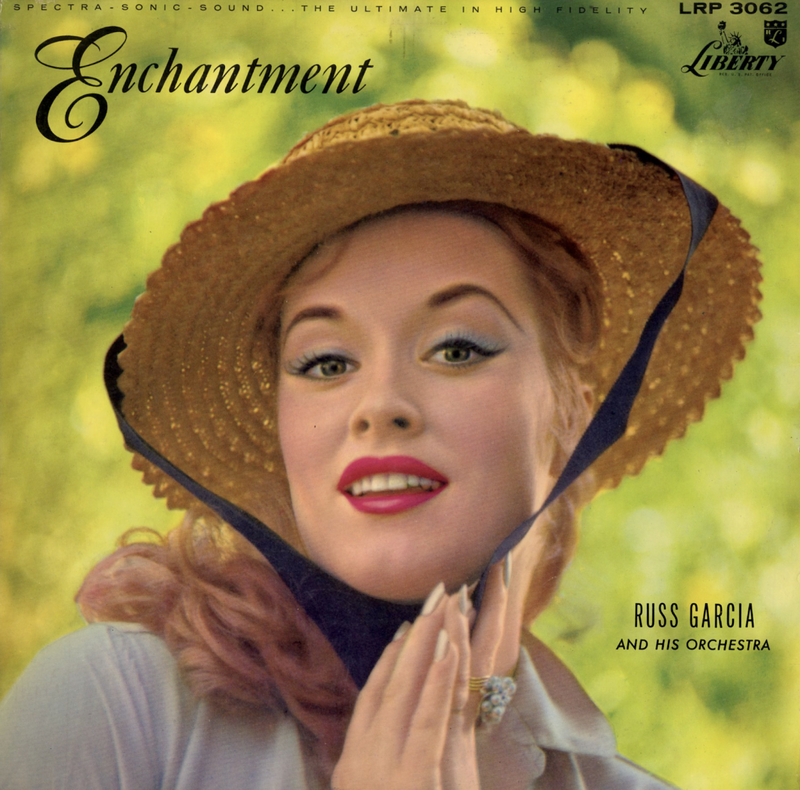 From the back cover: This album will obviously be a favorite. 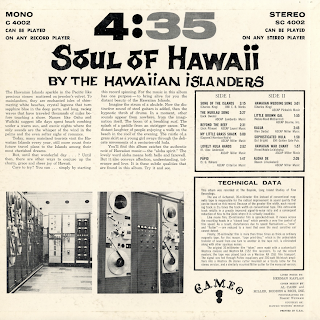 It is a natural successor to such previous albums by The Four Aces as "Mood Fo Love" (CL 8122), ""Sentimental Souvenirs" (DL 8227), and "Heart And Soul (DL 8228). 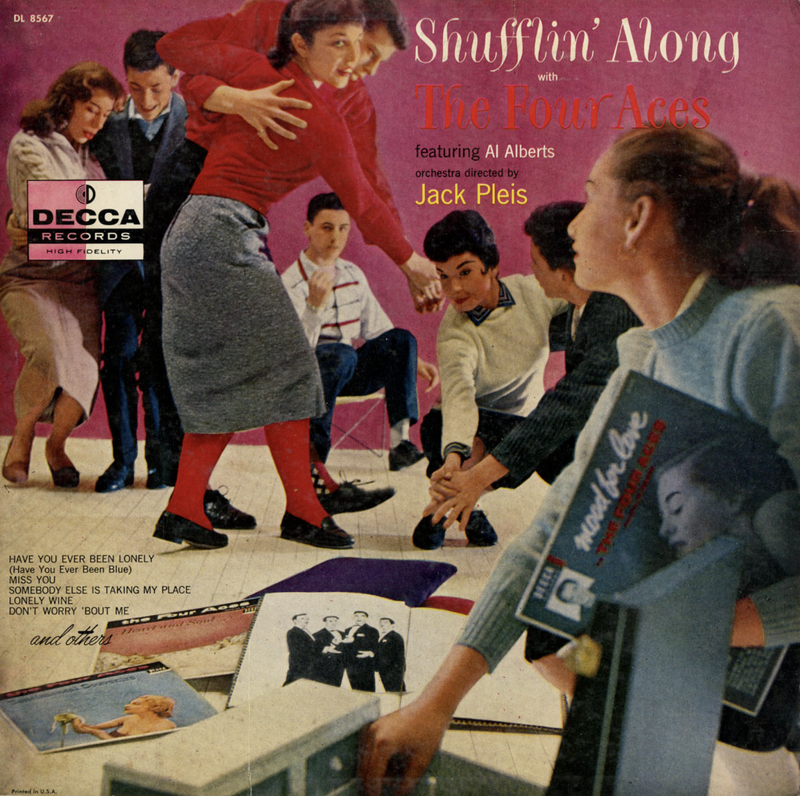 Also from the back cover: Everybody who knows The Four Aces is aware of the fact that the boys just seemed to find themselves – Al Alberts was completing a three year hitch in the Navy when he met Dave Mahoney and, after being discharged in 1946, Al and Dave began a combined singing career. 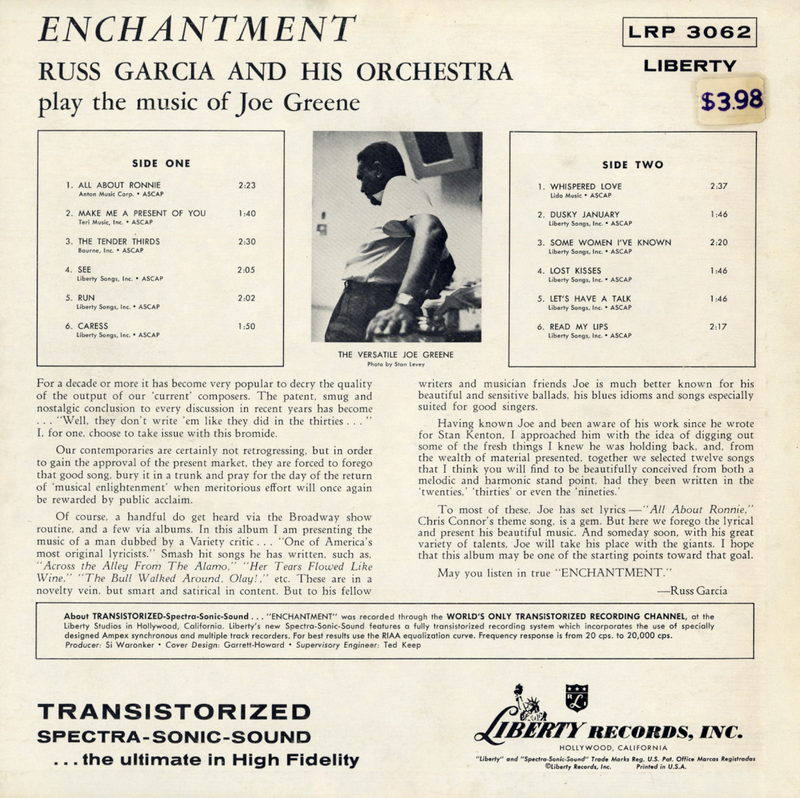 A little later they added Sod Voccaro on trumpet and Lou Silvestri on drums. It is a pleasant coincidence that all four grew up and went through school in the same state: Pennsylvania. Winning lush string mood arrangements back Previn's smooth jazz inspired piano passages. 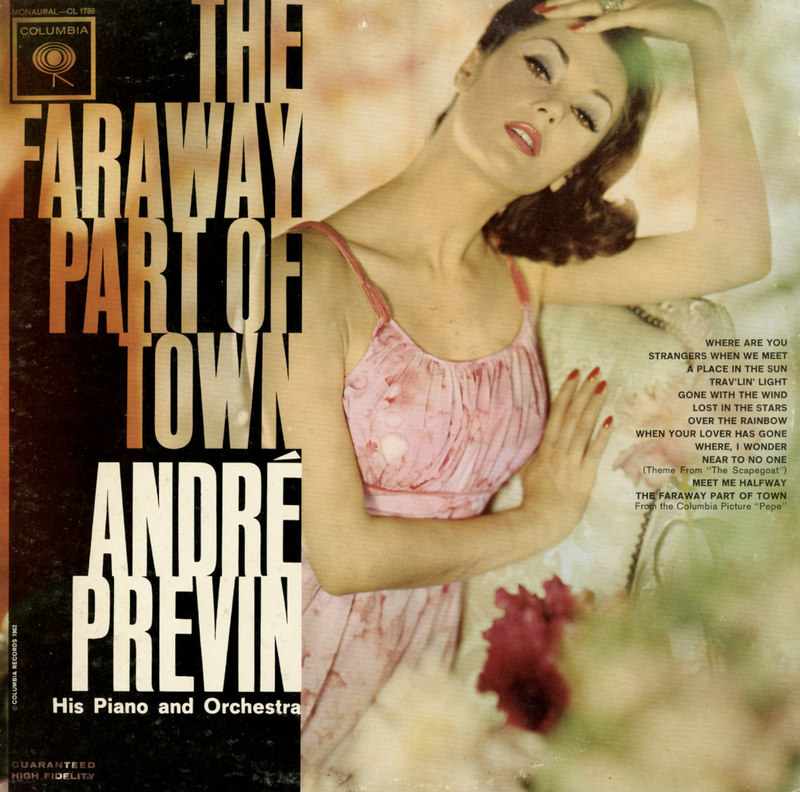 From Billboard - August 18, 1962: Moody, wistful and introspective piano solos by Andre Previn, backed by a lush string ork, makes this a solid item for the market. The pianist turns in expressive and winning performances on a flock of standards, including "Where Are You," "Gone With The Wind," "Over The Rainbow" and "When Your Lover Has Gone." A tasteful and nostalgic set that should score throughout the fall. Cover Design by Al Can and Miller, Bodden & Rich, Inc. Beautifully arranged lush string mood set. From the back cover: He (McDaniel) started playing the piano as a youngster and has been busy at it ever since. Living in the Los Angeles area for the last twenty years, Willard has played with a number of local bands, among them Roy Milton's famous group. He's done studio work on films like "Young Man With A Horn," "Panic In The Streets," "The World in His Arms" and "Family Secret." He's also written a number of tunes "Blues on the Delta," Blues for Mimi" and "Three A.M. 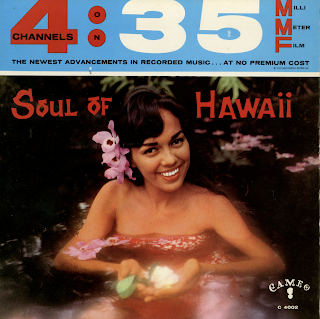 Boogie," "Moon Tide" and others. 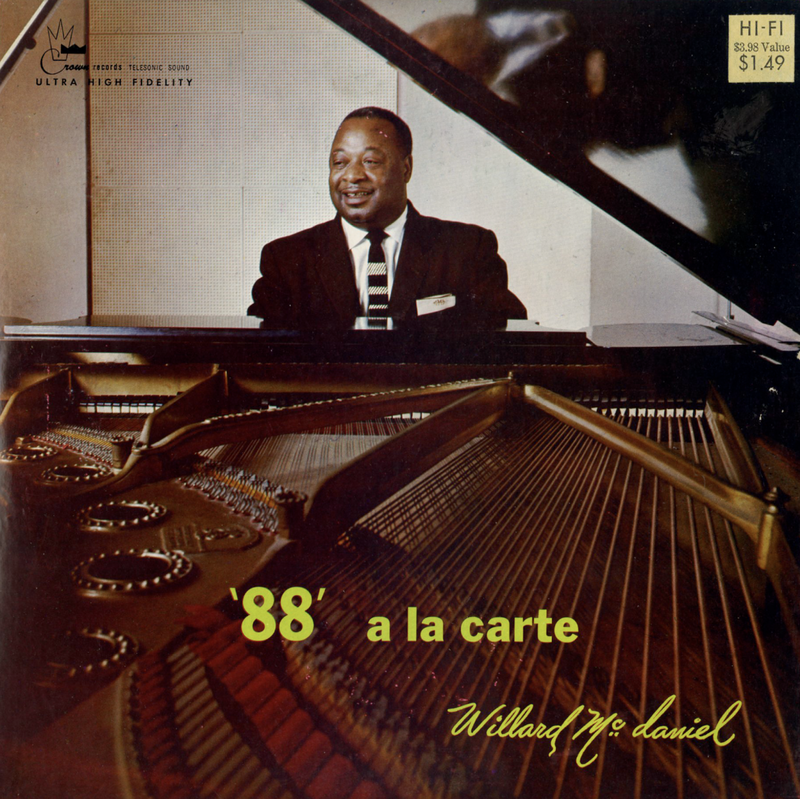 The album here is a wonderful balance of Willard's piano and 88 A LA CARTE presents Willard as you might hear him in a Hollywood night spot for music lovers where he's played for the past six years. From Billboard - April 13, 1957: One of the better West Coast pianists, Willard McDaniel unfortunately hasn't had too much exposure. It's hoped this $1.98 package will correct that, for his is an excellent style, reminiscent in spots of the late Fats Waller. He's energetic, imaginative and refreshingly smooth on all selections. Tunes are all standards, with "I'll Remember April" a particular standout, for bargain-disk vendors. 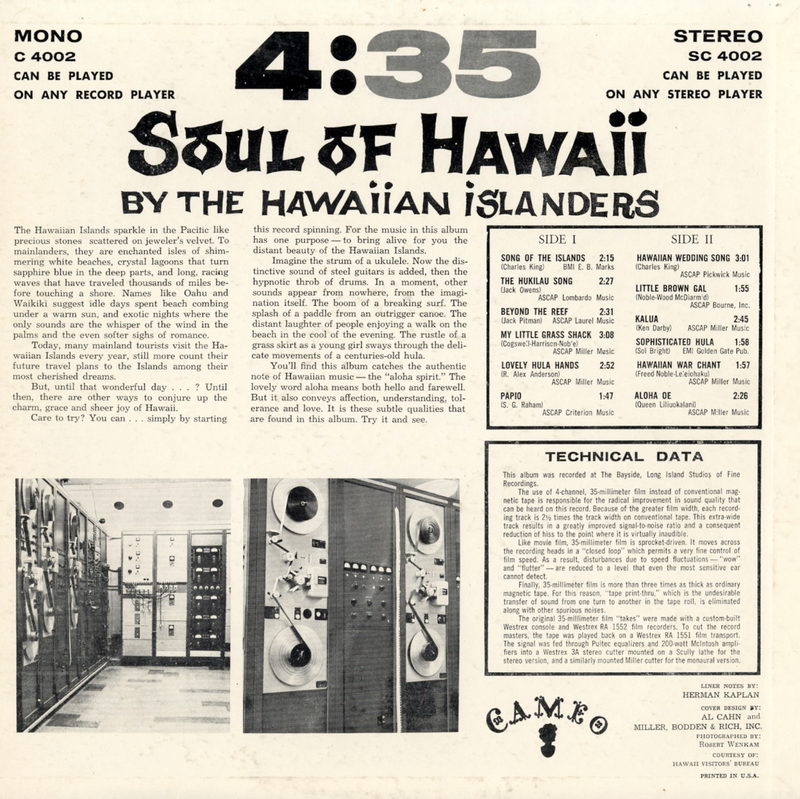 From the back cover: All the songs in this album feature the sweet saxophone of Jimmy Davis. You will especially enjoy the vocal renditions of Norma Lee on the songs "The Girl From Ipanema," "Bossa Nova, It's The Things," "Way Beyond Today," "One Note Samba," and "Somewhere". 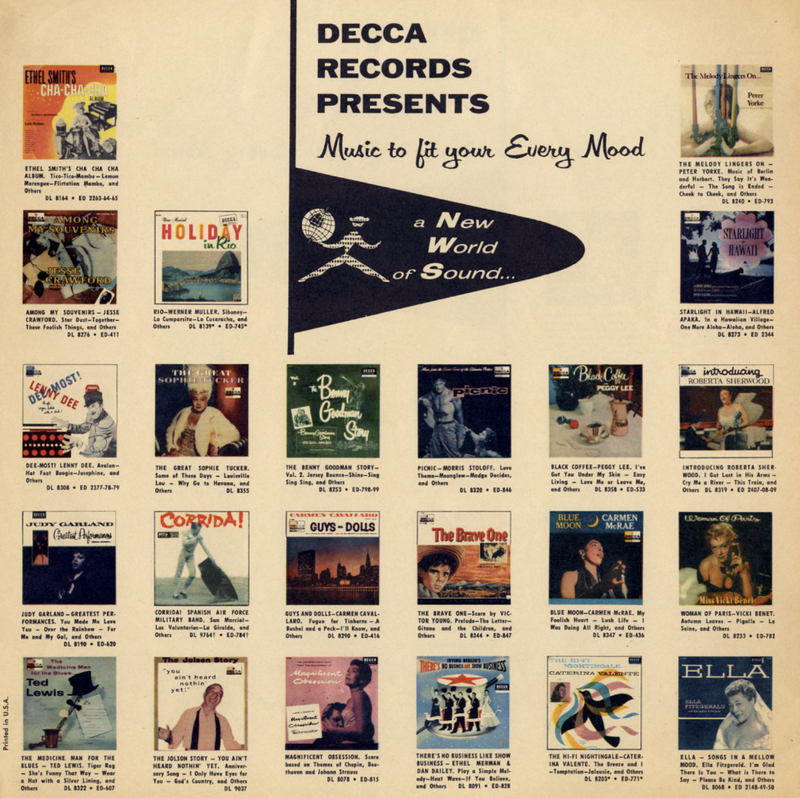 Budget collection of jazzy tracks which, in fact, seem to feature Jimmy Davis and the light bouncing vocals of Norma Lee on side one only. 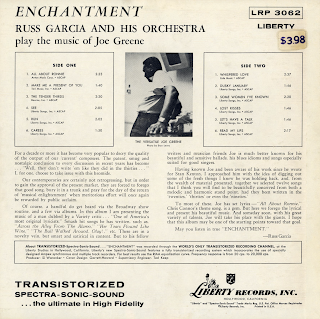 Tracks from side two were apparently collected together from a completely different, but pretty hip, recording session. 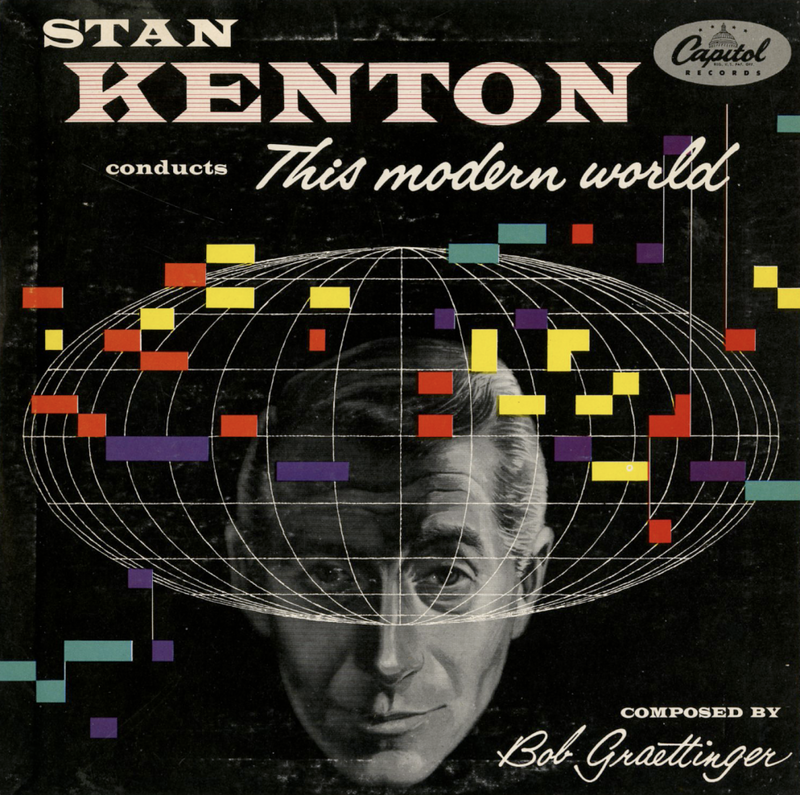 Terrific stuff from Kenton's experimental period that can be download from online vendors as a part of City Of Glass. 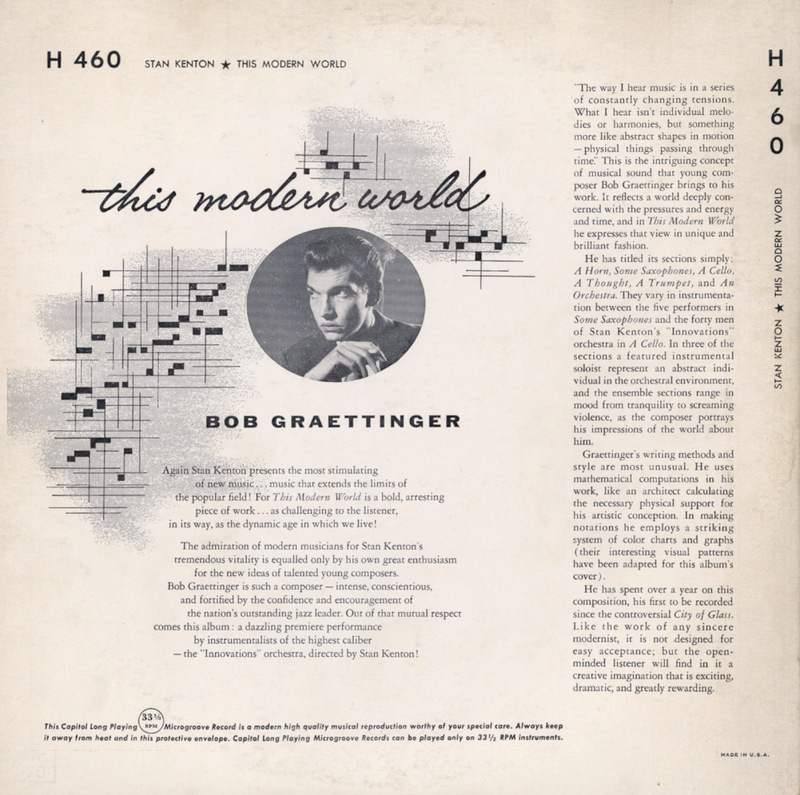 From the back cover: Graettinger's writing methods and style are most unusual. He uses mathematical computations in his work, like an architect calculating the necessary physical support for his artistic conception. 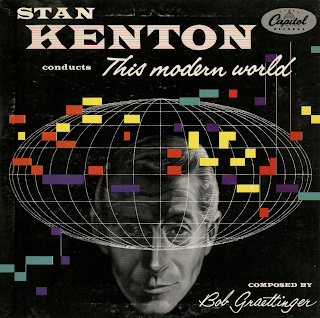 In making notations he employs a striking system of color charts and graphs (their interesting visual patterns have been adapted for this album's cover). He has spent over a year on this composition, his first to be recorded since the controversial City Of Glass. Like the work of any sincere modernist, it is not designed for easy acceptance; but the open-minded listener will find in it a creative imagination that is exciting, dramatic, and greatly rewarding. 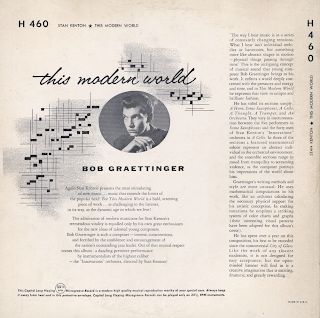 Graettinger died of lung cancer in 1957. He was 33 years old. 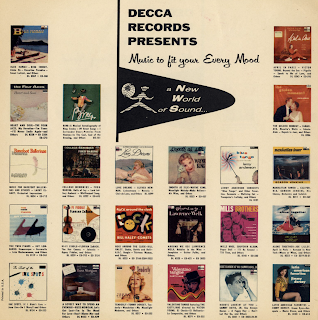 10 LP originally issued in 1941 as a 4 disc 78 set (P67). 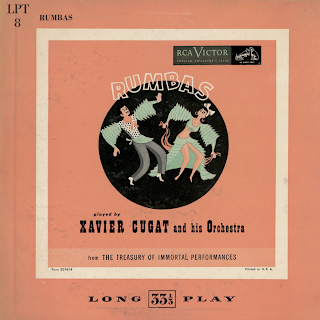 From the back cover: Watching Xavier Cugat standing before his orchestra, grinning happily and energetically shaking maracas while his men pound out a savagely rhythmic rumba behind him, it is hard to picture the same man soulfully playing a violin accompaniment while the world's greatest tenor sings a concert aria. And yet that is how Cugat, America's Rumba King, began his career – as accompanying artist to Enrico Caruso. It began quite a number of years ago in Cugat's native Barcelona, Spain, where he was born in 1900, of a noble Spanish family. After receiving his musical education in some of the finest conservatories in Europe, Cugat was playing the violin in Barcelona when Caruso happened to hear him. 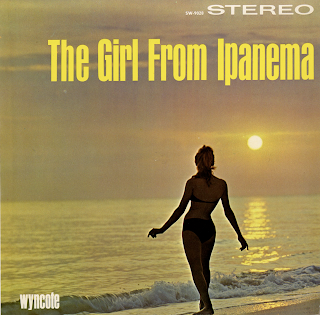 The result was an invitation to come to America and tour with the great singer. The arrangement lasted for five years, during which time Cugat toured the whole country with Caruso. During the many hours they spent on trains, between concert engagements, they discovered they shared a love of sketching and an uncommon talent for it. Caruso's impromptu caricatures of friends and celebrities, dashed off on odd scraps of paper in rare intervals of relaxation are famous. Today, the cartoons of his "pupil" Xavier Cugat, are even more famous. Cugat's first completed sketch, a merciless caricature of Caruso, amused the singer mightily. "When the Los Angeles Times tell you to be funny by tomorrow morning 10:30, I can't do it, so I quit cartooning and start this little band of seex man only. I haf never been in dance hall before and we play only the roomba from Cuba. Lopez, Coleman and other had played the roomba but dat was way too soon. Den you had to throw your partner in the zeiling and get a bandanna. When we start, years ago, they all look at us like we are a bunch of wild animals. They only let us play relief to those bees name band." But not for long. 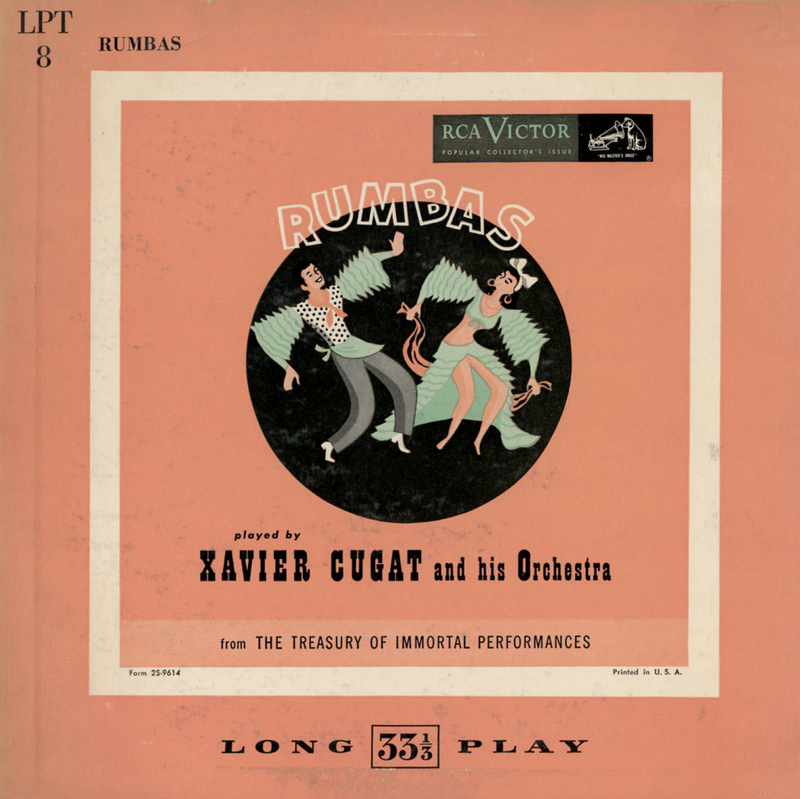 The suave, continental Cugat tamed the jungle exuberance of the rumba to something Americans could and would dance. Beginning at Los Angeles' famed Cocoanut Grove, the Cugat band was soon being booked at the nation's most distinguished hotels and night spots, where it proceeded to break attendance records and be invited back year after year by delighted managements. Cugat returns yearly to New York's swank Waldorf-Astoria Hotel, and there is no record of any dancer being inspired by his music to throw his partner "in" the "zeiling" – with of without a bandanna.